Whether you are buying or selling a car, most people think that the only options they have are to use a dealer or to purchase from a private individual. However, auto auctions are a great way to get a good car, for a reasonable price in Oakland County, Michigan. If you are selling a car, an auto auction can often get you more money than you can get from a dealer. This is especially the case if you have a unique vehicle or a classic car. If you are shopping for a new car or looking to sell, here’s what you need to know about using an auto auction. This is true for both the buyer and the seller in an auto auction. You cannot expect to get a vehicle for a particular price and if you are selling, the price that you hope to get, may not be what your vehicle sells for. If you understand that the sale price of every vehicle at an auction is variable, you are more likely to be successful at an auto auction. If you are selling a vehicle through an auction, make sure that you work closely with the auctioneer, to make sure that you fully understand the reasons for setting the starting price. This is especially important for the individual purchasing a vehicle through auction. Vehicles will often be listed with some basic information prior to the auction. If you are interested in a particular vehicle, make sure that you do your research on the car’s make and model. Doing so can give you an indication if it is the right vehicle for you. Keep in mind that most vehicles in auctions are used. The auctioneer cannot guarantee that the vehicle will be in perfect working condition, so make sure that you fully understand what potential repair costs could be. Know what you can afford before you head into an auto auction. The thrill of an auction, for many buyers, is the bidding process. However, this thrill often leads individuals without a set budget to purchase a vehicle well outside of what they can afford. Remember, auction sales are final, so make sure that you know what your budget is and that you bid within this budget. Don’t let the fun of an auction distract you from what you can afford, or tempt you into buying a vehicle you cannot afford to own and maintain in the long run. Set a budget and stick with it. This goes along with setting a budget. Payment for your auction purchased vehicle will be due relatively soon after the auction. In some cases, this may mean that payment is due the day of the auction. In other cases, the auction may give you a couple of days to make payment. Either case, make sure that you have payment arranged prior to heading into the auction. If this means setting a loan with your bank, allocating cash with a cashier’s check, or having cash in hand, make sure that you are ready to pay under the conditions set by the auction. 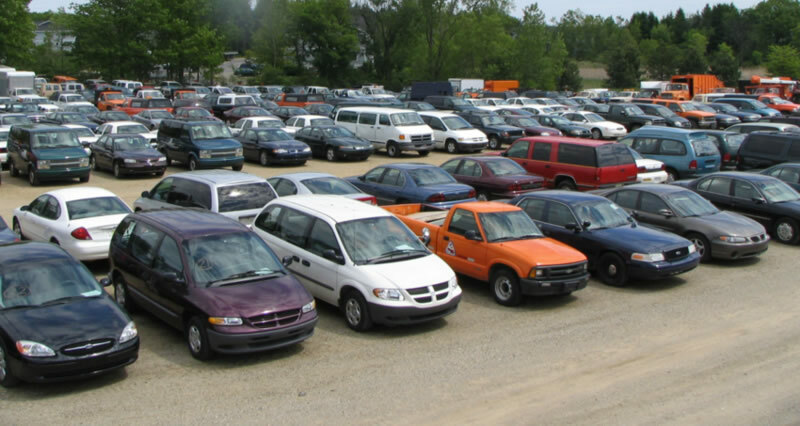 Looking for an Oakland County Vehicle Auctioneer ? Auctions can be a great way to buy or sell a vehicle. If you would like to sell your vehicle or vehicles through auction, or if you are looking for an Oakland County vehicle auctioneer, consider Gary M. Berry, Auctioneers – Realtors for your auto buying and selling needs. For more information on our auction services, please call: (248) 299-5959.